A bold feature necklace set with incredibly juicy gemstones including Amethyst, Rhodolite Garnet, Blue Topaz and Peridot. 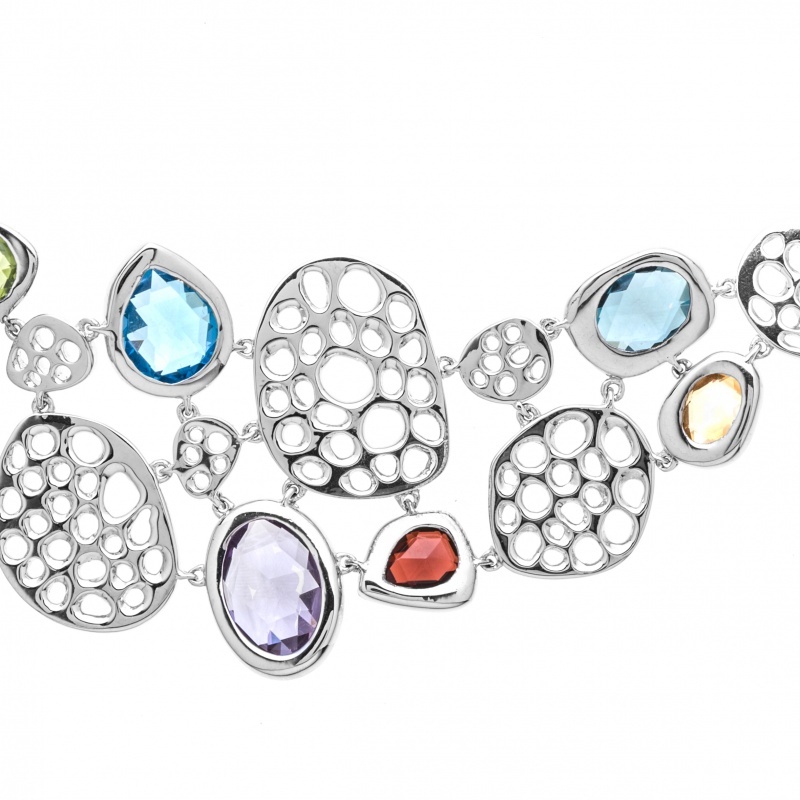 Generously cut in a multi faceted style these gemstones ooze luxury and are set in amongst our signature latticework. 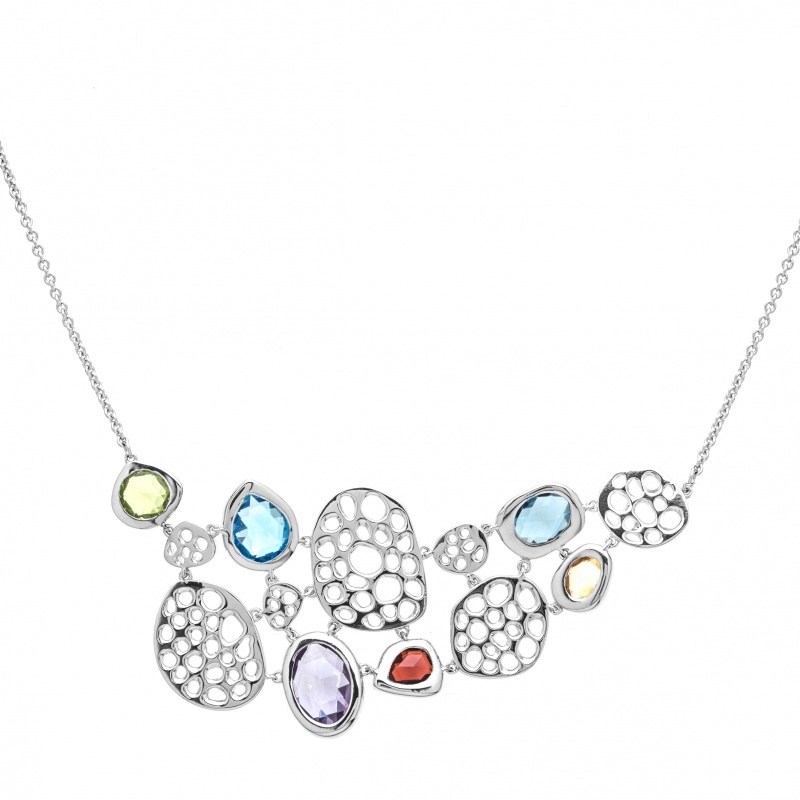 Enjoy this heavy weight piece and make a colourful, confident and bold statement.